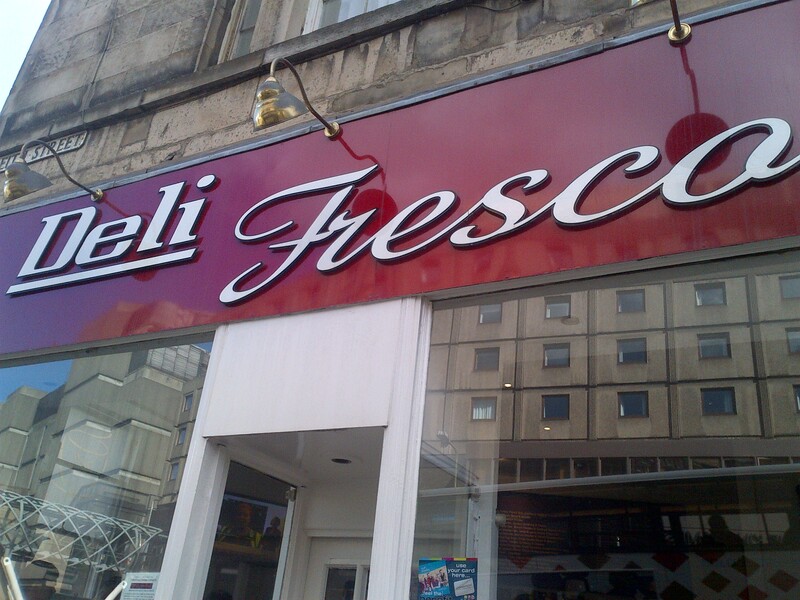 Although Deli Fresco is very close to my place of business, I’d been a little reluctant to visit it, in recent times. When regular quester Gary and I moved to city centre offices, a few years ago, we really weren’t that impressed with what Deli Fresco had to offer, particularly in terms of their sandwiches. We found it hard to get used to lunchtimes without our beloved Domenico’s near at hand. 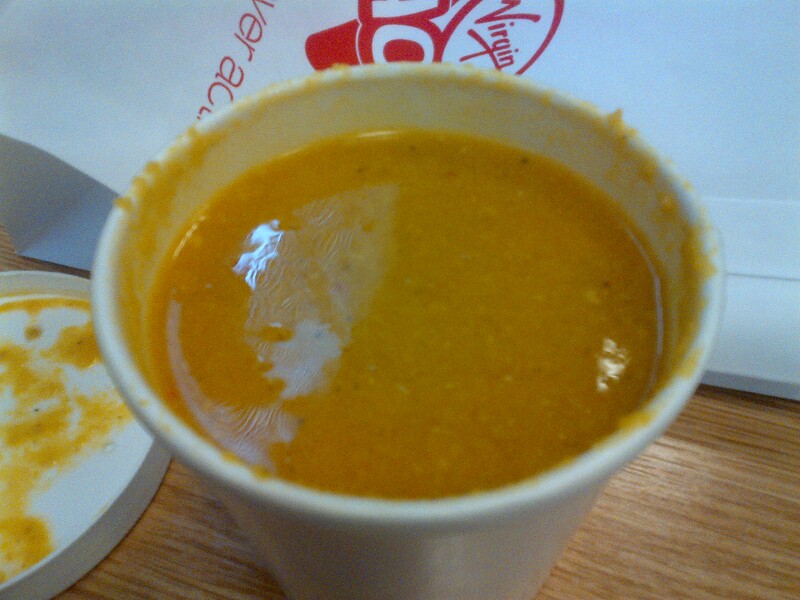 However, another regular contributor, Jane, was telling me, just yesterday, that she swears by the place for her lunchtime soups, so urged me to pay it a visit. Keeping my sights firmly on their soups, I popped in to check things out. Each day they offer a meaty soup and a veggie soup. Today’s meaty offering featured spicy sausage as its primary focus, while their veggie was carrot and coriander. I opted to try them both. The shop was queued out the door, and while the interior was consequently rather congested, a small battalion of counter staff kept things moving quite effectively. The lovely cash register woman made sure that patrons were sent on their way with a cheery smile. I found the soups to be a little mixed. The carrot and coriander was very good, and put me in mind of the excellent one I had at Social Bite. The meaty soup was curiously lacking in punch, though. It was a little disappointing. So overall, it seems like Deli Fresco is doing a decent line in soupy goodness. If the majority of their soups are to the standard of the carrot and coriander, which I’m reliably informed they are, things are looking good. 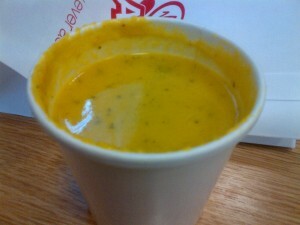 I’ll pop back for another visit, soon, when I’m next in need of a quick soup fix.